What is gallbladder? The gallbladder facts reveal that it has to play an important role in the breakdown of food items and, consequently, their absorption into the blood. Before learning gallbladder definition, you should know about the extent of digestive system. The digestive system is perhaps the largest system in the human body. It has many accessory organs and glands to perform its overall digestive function. According to gallbladder definition, it is a small gland at the base of liver. Its main job is to assist in the emulsification, digestion and absorption of fats in food. The liver secretes the bile and transfers it to gall bladder for temporary storage. Another gallbladder function is to concentrate the alkaline fluid that contains salts, pigments, fats and about 85% watery component. Recent gallbladder information suggests that this structure in an adult human would measure about 8 x 4 cm or a bid more. It secretes bile juice to facilitate digestive processes of oily diet. The organ has divisions into three parts, which are neck, body and fundus. The neck of gall bladder establishes a connection with liver through common bile duct and transcends its secretions through it. Fundus appears at the opposite end of this pear-shaped organ, while body lies in its proximity away from the neck. Myth about Gallbladder: There is a myth about gallbladder diseases that an individual should take low fat diet to prevent gallstones. It is not true! The fact is the opposite of it. There are the saturated fats in your body which consist of medium and short chain fatty acids, like coconut oil and ghee. They do not require bile juice for their proper digestion. Studies suggest that foods with low fat serve to increase the chances of gallstones. It is because such diets promote bile stasis and, meanwhile, there is conversion of the excess carbohydrates into fats. Link between Losing Weight and Gallstones: It is one of the most interesting gallbladder facts that losing weight can trigger the formation of gallstones. There is a strong logic behind this argument. That is, for reducing weight, you will have to take low fat diets. And, in such foods with low fat contents, all the excess carbohydrates convert to form fats. Bile supplements: The physicians may advise the intake of bile supplements to the individuals who are without gallbladder in their body. The purpose of taking bile supplements is to counter the issues of indigestion and the possibility of contacting liver conditions. 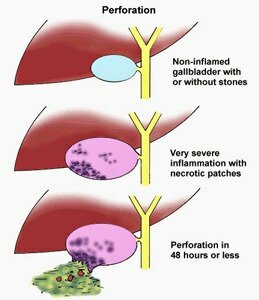 Timely Removal of Inflammed Gallbladder: Where the gallbladder is highly inflamed, it will require surgical removal within 48 hours, or the worst can happen. The medical researchers have come up with another fun fact on gallbladder. They say that there are some gallstones which form from calcium and extra fatty cholesterols. So interestingly, they dissolve in the bile itself and thus disappear! The children are usually more curious than adults to know about different organs of the body. Here are some fun facts about the gallbladder for kids. They will be really interesting, enjoyable and useful for the children. Bile Juice Secretion & Storage: The liver secretes the bile juice and pours it into gallbladder. The gallbladder then stores the bile juice for some time. As the need arises, the bile juice enters into the duodenum of small intestine. This commonly happens after taking food that is rich in cholesterol or other lipids. Breakdown and Digestion: Do you know the bile from the gall bladder emulsifies fat molecules? As a result, the fat digesting enzymes, like lipase, can carry out their breakdown and digestion effectively. Bile Concentration: Here is another of the interesting facts about the gallbladder in the digestive system. That is, the biliary vesicle achieves about 10 times concentration of bile. Formation of Gallstones: Frequent and prolonged intake of fatty foods, would result in excessive concentration and hardening of bile juice. It will, in turn, result in the formation of gallbladder stones. Gallbladder Removal: Removing gallbladder does not interfere much with fat metabolism and there direct secretion of bile into the intestine. Inflammatory disorder: Inflammatory disorder of the gallbladder is also common among people who have been suffering from chronic infection of typhoid. Greater Risk of Liver Diseases: Though people can survive after surgical removal of gallbladder, they are at the greater risk of developing some serious liver diseases. Swelling / Irritation: In case of swelling and irritation in the gallbladder, the patients are likely to suffer from extreme pain on the right side of their abdomen. There is something mysterious about this bile vesicle. Sometimes it experiences high inflammation. Excessive swelling makes it assume the shape of a balloon, without any obvious medical reasons. The gallbladder infection is any infection that affects the 4-inch large pear-shaped biliary vesicle body organ. An infection of the organ may lead to severe pain and swelling. Usually, the victim experiences pain in the mid- to upper right section of their abdomen. Sometime, it is mild and intermittent and, at other times, it may become so severe and frequent. Meanwhile, there is also possibility of the pain to radiate to other parts of the body such as the chest and the back. With timely identification, the gallbladder infection is successfully treatable. Medications are usually very helpful in this regard. On the other hand, in case of late diagnosis, the infection may become fatal. In another case, an infection occurs in the bile duct due to obstruction in the passage of bile. The problem needs timely attention, otherwise, it is likely to claim the life of the victim. The gallstone are usually small, hardened deposits that measure not more than a few millimeters. That is why, in most of the cases, they do not cause any severe symptoms and go without detection for years. At the later stage, however, they lead to pain, infection and inflammation of the organ. The gallstones can be of two major types, i.e. pigment stones and cholesterol stones. The pigment stones result from the accumulation of calcium bilirubinate – a chemical produced after the breakdown of red blood cells. In the latter case, accumulation of cholesterol is the sole cause for the formation of such stones. As the gallbladder facts indicate, some gallstones lead to the formation of pus. Empyema is the name for this particular condition. Pus contains dead tissue, bacteria and WBCs (i.e. white blood cells). An individual with pus in the biliary vesicle experiences severe abdominal pain. You need to diagnose and treat the condition at the earliest or else it may spread to other organs of the body and become life-threatening. After the successful diagnosis of gallstones, the victim should seek appropriate treatment as early as possible. If there is delay in treatment, the gallstones are likely to perforate the organ. It triggers the need for the diagnosis of gallbladder tearing. Otherwise, the tear will lead to widespread abdominal infection. Further complication will claim the life of the victim. Another term for the stiffening of walls of this organ is the porcelain gallbladder. With the deposits of calcium for a prolonged period of time, the healthy muscular wall of biliary vesicle become very rigid. The individuals suffering from this condition, usually, have a very high risk of gallbladder cancer. There are usually very rare cases of this type of cancer. However, there are chances for its spreading to other parts of the body. In that case, the disease becomes fatal. 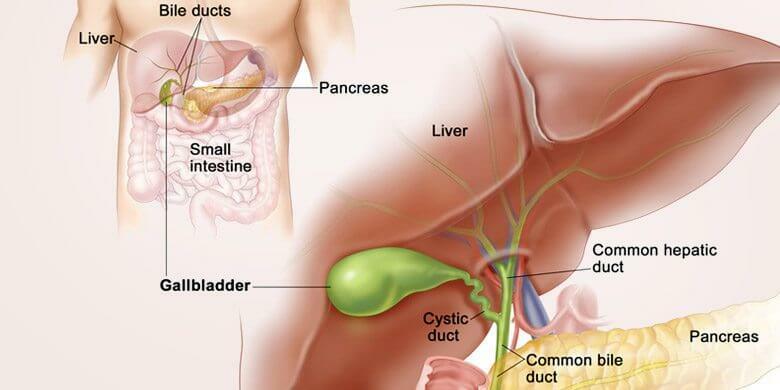 If there is timely discovery of the gallbladder cancer, it is easily treatable. But, unfortunately, it is one of the gallbladder facts that in most of the cases, the cancer is diagnosed at a very later stage. The primary reason behind delay in the diagnosis is that such type of cancer does not cause any obvious signs or symptoms soon after its onset.